PCC Community Markets, which bills itself as the nation's largest community-owned food market, wants the mammals swimming in the waters of Washington state to have enough to eat. In a bid to help critically endangered orca whales, the 65-year-old Seattle-based co-op this week said it has halted sales of chinook, or king, salmon caught in the waters of Washington, Oregon or British Columbia. It will instead sell fresh, frozen and smoked salmon from Alaska, PCC said. The move comes in response to the needs of Salish Sea southern resident killer whales that predominantly feed on the salmon in the summer, PCC said. The co-op has stores in 12 towns in Washington state. 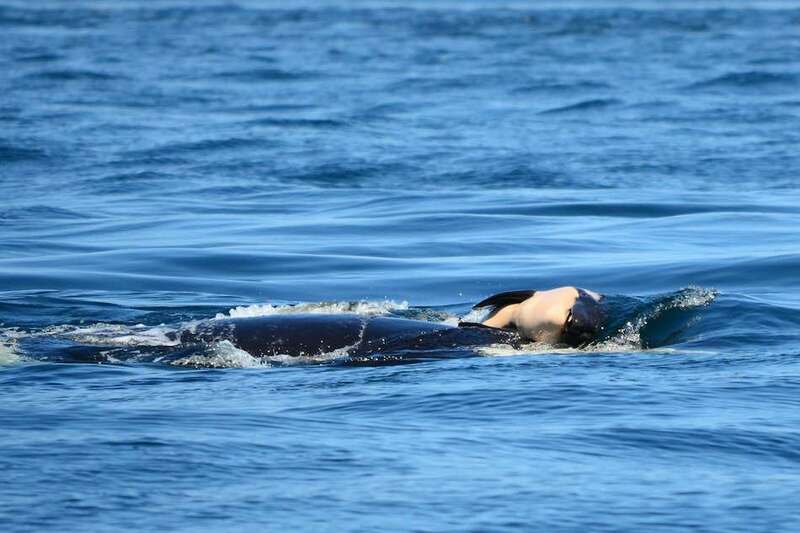 Customers contacted PCC after hearing the plight of a mother orca known as Tahlequah, who carried her dead female calf for more than two weeks. The baby whale's death was the result of malnutrition, biologist said. "We've been following the whole orca story, and it's just been so tragic," Brenda Davis, PCC's vice president of social and environmental responsibility," told CBS News. Davis mentioned other threats to the whales, whose population has dwindled: "We know there are toxins in the water, we know there's vessel traffic, and there's a lack of prey." The whales have historically thrived on chinook from the Columbia River, where salmon runs are now "at just 10 percent of their original population," PCC said in a statement, adding that the whales lack "the food they need to survive." Endangered Orcas Get Some Help from a Seattle Grocer <-- Watch at original site.